Grandma got a $10 router from the rummage sale that doesn’t even have a name on it! – Cheap routers are simply that. They are cheap, designed to maybe connect just long enough to download a few e-mails and that is about it! Some of them will actually loose their wireless power as the router begins to heat up! In other words, try not to buy a cheap router! Try to get something which firmware can be flashed with something like DD-WRT or Open-WRT so you can control it easier. I can steal wi-fi for my neighbors house with my laptop, I don’t see why my Ouya can’t do the same thing! – Okay, the Ouya contains an internal wireless antenna which is mounted to the PCB of the Ouya itself. It’s Dbi is something like 2-4 Dbi gain which is not a whole hell of a lot. But the thing is that is almost what a lot of modern smart phones use as well is that type and style of antenna. As a result is will not pick up signal strength like a laptop or a desktop that has a sutible and larger antenna. I can connect! But my Ouya keeps dropping connecting in mid-stream of a movie or a game! – This could be either a cheap router once again, or a possible sign that there is too much Wi-Fi traffic bouncing around in your area. Take note of the AT&T and SBC Routers in your area (in other countries they may have different carriers , Rodgers in Canada for example.) If you are one of the unfortunate souls that have one of those routers. What these routers tend to do is ‘hunt’ for the best possible wi-fi channel to serve data on every 2 minutes. It will stay on channel 1 for a while, then jump to 3, then jump to 10. Although a lot of newer PC’s can handle this such as windows 8 machines and IPhones. Other hardware cannot tolerate this signal jumping which is why you would be able to connect briefly for a minute, and then lose connection during the middle of a media stream on your Ouya. 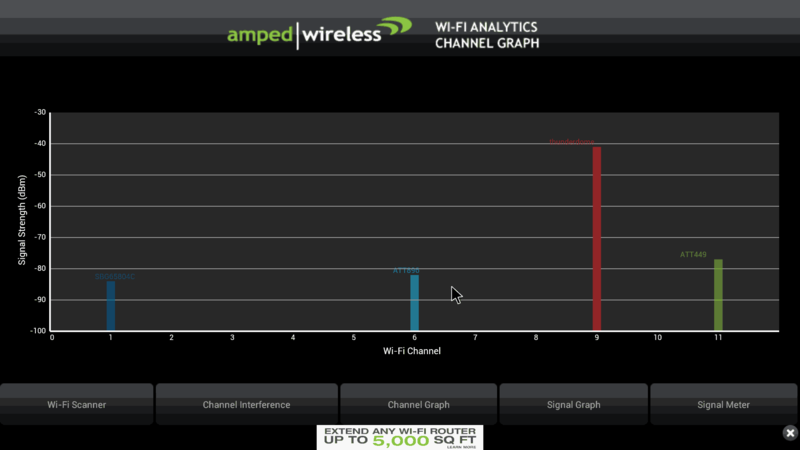 For those which have a rooted Ouya my favorite app for testing signal strength between your Ouya and your Router is a free program called Wi-Fi Analytics . It will tell you everything about the wireless signals that is bouncing around your house. In my scenario I noticed there was a lot of routers that was chilling on channel 6 and 11, by moving my SSID broadcast channel to 9 I received a signal gain by %15 (from -50 to -40 with negative numbers going towards zero = better signal) . A lot of things in regards to wireless troubleshooting is dealing with the environment it is in. If you are still having weak wi-fi issues and don’t mind picking up a soldering iron. 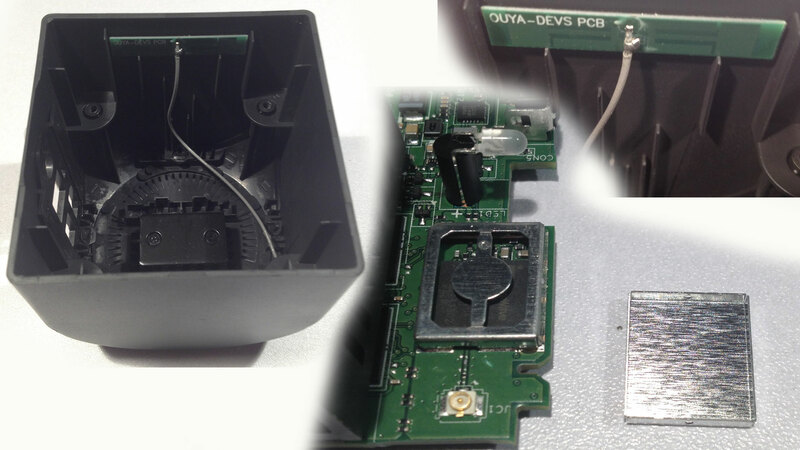 Feel free to check out the wireless antenna mod hack that was tested with our Ouya. This only applies to the Silver Ouyas.